Step into a living space that's jumping with the vivid colours of Latin America. 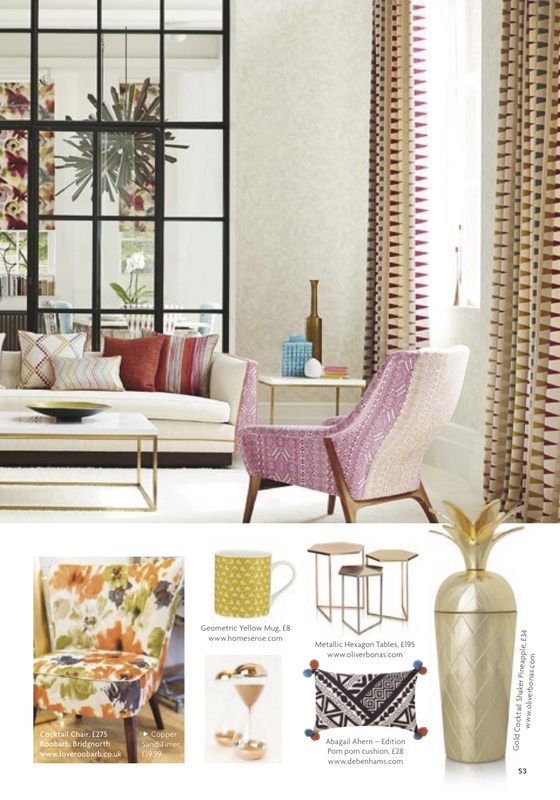 With fabrics that are vibrant with the jewelled colours of the rainforest, the on-trend look for this year delivers a brighter twist on last year’s geometric motifs. Don't be afraid to embrace difference with a clash of pattern and hue – or opt for a few dashes of metallic shine and a sprinkling of chevrons. 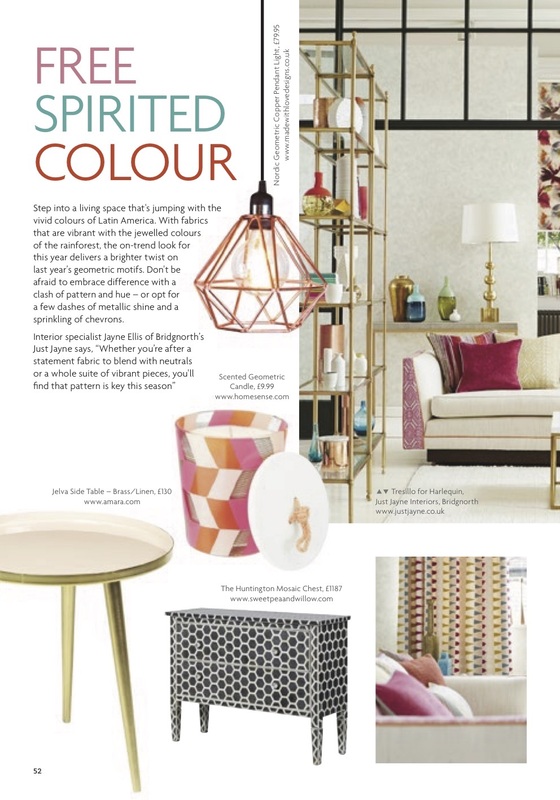 Interior specialist Jayne Ellis of Bridgnorth’s Just Jayne says, “Whether you’re after a statement fabric to blend with neutrals or a whole suite of vibrant pieces, you'll nd that pattern is key this season”.